Step in and fall in love! This charming cape is loaded with upgrades and perfectly perched to capture the mountain views! The main level is a dream to entertain inâ¦the open floorplan includes a remodeled kitchen with Silestone countertops, new stainless appliances, built-in buffets & desk. Surrounding the kitchen is a spacious living room and a very generous dining room with a gas log fireplace and access to the patioâ¦plenty of room for everyone to spread out! Laundry/mudroom is conveniently located off the kitchen with outside access on driveway side. Upstairs you will find three large bedrooms all with new carpet, two (yes two!) full baths, one which boasts a Jacuzzi tub, and abundant storage areas in the closets and eve spaces. The finished basement would be an ideal rec room or media room. Oversized two-car garage and fenced yard! 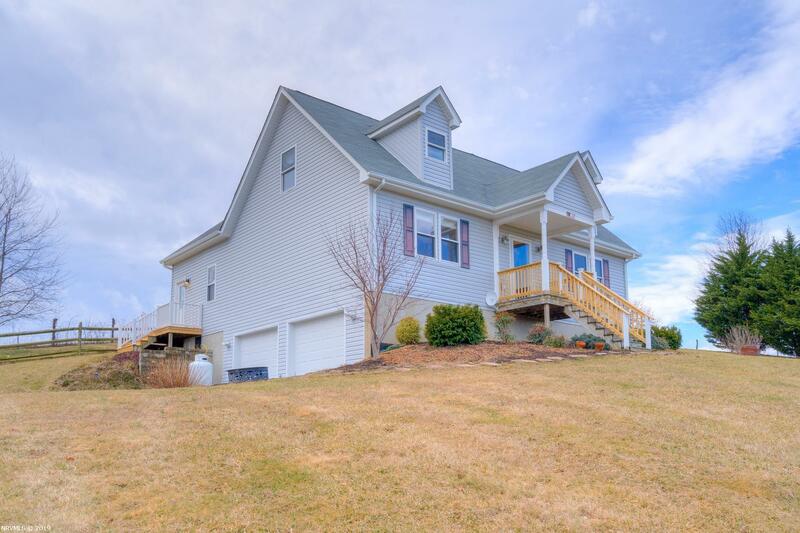 Walking distance to Auburn schools and easy access to I-81 makes this the perfect location. See att&apos;d list of upgrades! AHS home warranty included! Directions: Rt 8 To Fairview Church To Schoolhouse Dr. Home On Right.